Sometimes you just have to take one for the team. A wistful thought of that kind must have flitted through the mind of Chief Justice John Roberts today as he announced that the Supreme Court was upholding the Affordable Care Act by the slimmest of margins. 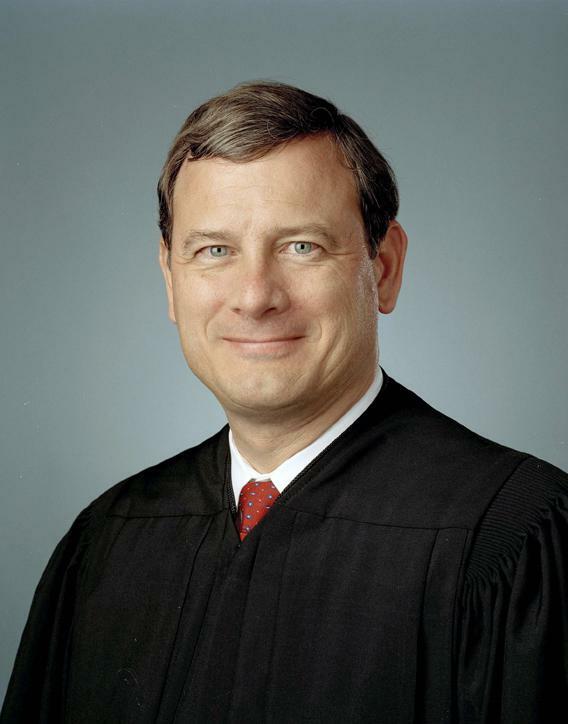 The lineup was a shocker: Roberts joined the court’s four moderate/liberal justices in upholding the act. Court-watchers knew Roberts would be in the majority, whichever way the case came out, but we expected Justice Anthony Kennedy to be there, too. He wasn’t: Kennedy joined fellow conservative Justices Scalia, Thomas, and Alito in a vehement (and—departing from court practice—jointly signed) dissent. Indeed, the chief justice was the only justice who cast a vote on the individual mandate that was contrary to the political position of the party of the president who appointed him. Why did he do it? Quite simply, to save the court. As Jeffrey Rosen has noted, the ACA case was John Roberts’ moment of truth—and today’s opinion proves that Roberts knew it. In the aftermath of Bush v. Gore and Citizens United, the percentage of Americans who say they have “quite a lot” or a “great deal” of confidence in the Supreme Court has dipped to the mid-30s. A 5-4 decision to strike down Obamacare along party lines, whatever its reasoning, would have been received by the general public as yet more proof that the court is merely an extension of the nation’s polarized politics. Add the fact that the legal challenges to the individual mandate were at best novel and at worst frivolous, and suddenly a one-vote takedown of the ACA looks like it might undermine the court’s very legitimacy. Whatever else John Roberts wants, he doesn’t want that. Though surely not immune from the kind of “motivated reasoning” that polarizes political and legal thinking alike, the chief justice must feel a special institutional responsibility. A cynic might say that Roberts is keeping his powder dry for impending battles that are closer to his heart, such as the constitutionality of affirmative action. But I think Roberts is playing the long game. Assuming good health, he and his conservative colleagues will hold sway on the court for years to come. Roberts wants the institution over which he presides to maintain some remnant of the above-the-fray brand it has created for itself over two centuries. Read in this light, Roberts’ ACA opinion is masterful. It opens with a five-page primer on judicial review and limited federal power that was clearly designed, like Chief Justice Earl Warren’s unassuming opinion in Brown v. Board of Education, to be read by laypeople. Roberts concludes that the individual mandate exceeds Congress’s Commerce Clause power because that clause only allows Congress to regulate existing commerce, not to force unwilling citizens into commercial transactions. This section of the opinion is ideological catnip for libertarians but will have only minor real-world effects since Congress rarely mandates private purchases. In the weakest part of the decision, Roberts argues that the mandate exceeds even the expansive scope of Congress’ power to “make all Laws which shall be necessary and proper for carrying into Execution” the powers granted by the Constitution. Even though Congress thought the mandate was literally necessary to the Act’s other insurance provisions (which are concededly regulations of commerce), Roberts concludes that the mandate is somehow not proper. Lower courts—even ones that upheld the mandate as a regulation of commerce—resisted this conclusion, and the justices appeared unimpressed by it at oral argument because Congress chose to label the mandate a penalty, not a tax. And Roberts admits that it looks more like a penalty. Indeed, this entire portion of the opinion, unlike what comes before, reads as if Roberts’ heart is not fully in it: It is dutiful, more like a brief written for a client than a judicial broadside fired from the hip. But it makes all the right moves: The mandate operates like a tax. Labels are not dispositive when it comes to sources of congressional power. And, most important, the court has a duty to construe statutes so as to rescue them from unconstitutionality—a duty that, as Justice Louis Brandeis understood, is grounded in the need to preserve the court’s institutional legitimacy. From every perspective—political, institutional, and even legal—the tax-power holding is a brilliant compromise. The rest of the opinion, striking down Congress’ threat to eliminate all Medicaid funding to states that refuse to expand eligibility, is the most surprising. Although based on the common sense notion that Congress shouldn’t be allowed to bribe states by making them offers they can’t refuse, it fails to provide a yardstick by which to measure such coercion. My hunch is that this holding will be read narrowly and will not imperil the many “cooperative federalism” programs that already exist, from No Child Left Behind to Title IX to the Clean Air Act. But it is only a hunch. In any case, the individual mandate was the main event. And it survives, thanks to the vote of John Roberts. We may never know whether Roberts initially sided with the challengers and then “switched in time,” like a famous Justice Roberts of the past, or whether he always intended to save the ACA. Either way, the country—and the court—should be happy he did.